Игра перенесет вас в легендарную войну между двумя известнейшими научно-популярными персонажами. В AvP присутствуют 3 невообразимые компании и уникальная совместная игра, включающая 3 режима. * Optimized load times, particularly under DX11. * Fixed some mouse lag issues and improved range of sensitivity slider. * Fixed look input adjustments being incorrectly applied when a pad was connected but unused. * Fixed soundtrack synchronization in certain cutscenes. * Improved handling of non-English keyboard input languages. * Fixed some rare crashes. * Various other minor bug fixes. * Added support for password-protecting lobbies. * Improved text chat functionality. * Voice chat is now PTT by default in lobbies; improved muting and voice chat volume options. * Fixes to stat and XP tracking. * Fixed the flamethrower in multiplayer. * Updated to latest Steamworks libraries. * Various other matchmaking, leaderboard, lobby, lobby migration, and group bug fixes. * Added support for ATI Eyefinity cards. * Added DX11 tessellation and anti-aliasing support. * Various DX11 bug fixes and optimizations. * Greatly reduced system memory usage under DX9 when using lower texture detail settings. * Fixed various DX9 compatibility issues. * Added option for disabling motion blur. * Stability improvements to address rare and infrequent hangs. * Implemented a workaround for missing audio issues with certain hardware (SoundBlaster X-Fi, Realtek onboard, etc.). * Fixed save games being lost or corrupted if connection to Steam is lost or if user switches to offline play. * Added client-side support for dedicated servers. * Ranked match lobbies will no longer end after every match. * Fixed XP being incorrectly affected by offline play (though only in the local stats; this will be corrected next time you connect to multiplayer). * Fixed other players sometimes appearing to have the wrong weapon or continuing to fire indefinitely after dying. * Fixed rare issue where players would be temporarily invisible. * Fixed some selection of servers and players in menus sometimes being incorrect. * Added new console commands "maxplayers" and "ip". * Improved "listplayers" console command. * Server info view inside Steam client includes player details. * Fix crash that happened if connection to Steam was lost. * Removed some unused console commands from server console. * Command-line arguments are now checked case-insensitively. * In multiplayer damage from the Predator's Smart Disc has been reduced, unless it's a headshot. * In multiplayer minor hits from the Predator's Plasma Caster bolts will no longer knock down enemies. * When joining a dedicated server on which a round is in-progress you now have a limited time to choose your species/team and skin before entering the game, if the game mode and server settings allow this. * Fixed clients not always being correctly notified that the game had ended. * Improvements to the networking code used in dedicated server games to increase stability and reduce pings. * DX11 optimisation when using tessellation. * Fixed DX11 gamma controls on NVIDIA boards. * Return to the server browsing screen instead of top-level menu when you fail to join a server. * Fixed the lobby timer not always displaying correctly on clients. * Improved 'SayTeam' console command. * Improvements to ranked matchmaking. * Fixed occasional problems with peer-to-peer games after playing on a dedicated server. * Fixed rare multiplayer bug where all players would be disconnected during level load if just one of them had a network problem during the load. * Fixed a cause of clients sometimes getting disconnected when pressing ALT+TAB or ALT+ENTER on the end-game scoreboard. * Fixed predators being able to cancel other players& Plasma Caster Lock-on. * Dedicated server no longer needs the Steam client to be running. * Dedicated server can use DLC maps. * New console/config file commands for dedicated server for friendly fire, team balancing and species balancing options. * New console command to set a Message of the Day. * Improved feedback and output for various console commands. * Improved server console output when players disconnect. * Improved server console output when there are problems starting the server. * Additional server console output about the Steam connection. * The dedicated server will now also be available via the HLDSupdate tool. Please note that while we believe there should be no problems as both the Steam Client version and the HLDSupdate version are identical, we cannot test the HLDSupdate version without making it available to everybody. Server administrators are advised to install and use the HLDSupdate version using their discretion. * Prevent "Adding Master Server" console output looking corrupted. * Fixed team selection not working for the first map hosted on a dedicated server. * Made the ban list file have the servers port number appended so multiple instances on the same hardware are independent. * Fixed cause of clients thinking the host had disconnected at the end of a game which actually ended normally. * Fixed predators being able to cancel other players Plasma Caster Lock-on. * Fixed an issue where dedicated servers left idle for an extended period of time would result in the first match played having the clients "running around without their bodies attached". * Setting the Autostarttime to "0" now correctly turns this feature off, rather than attempting to instantly start the match upon players returning to the lobby and kicking all the clients. * Due to some improvements to the networking code, the new server and client are not compatible with the old versions. Clients who have not yet restarted and updated their game will not see updated servers in the in-game browser and conversely, any servers that have not been updated will no longer be visible in the in-game list for clients who have applied the update. Both new and old servers will be visible in the Steam Client server list but players will see an "Incompatible Version" error message if they attempt to connect to server which has not been updated. * Fix for a Skybox rendering problem in D3D11 build on Nvidia Fermi cards. * Various small D3D11 optimisations. * Fixed rare bug where clients would get stuck on the loading screen. * Fix clients not seeing the 'custom match' flag updating in the 'Browse' screen when the dedicated server was changing settings after initially hosting a match without changing any variables. * Use an [R] prefix for rcon command output text upon successful receipt of a rcon command. * Prevent windows cursor being stolen when starting in windowed mode but then doing ALT-TAB immediately. * Show (and sort) dedicated server results as they come in instead of waiting for to complete before displaying anything. * Fix extraneous [Team] appended to MOTD text when joining game in progress. * Invitations to dedicated server games now work. * Fixed all dedicated server games showing as "at lobby" in the server browser, regardless of being at lobby or in progress. * Fixed "Ghost players" being created on a server if the Steam backend could not be reached for authentication when someone connected. These appeared in the player counts when browsing servers, and in the server details player list when viewing servers in the Steam client server list. * Added more info to server console when players connect/disconnect, and print out the player list in the command window (including scoreboard) at the end of each game. * Use an [R] prefix for rcon commands and echo command output to server console as well as sending it to rcon client. * Enabled logfiles (writes out console output and some command line errors only to files in logfiles_dedicatedserver). You can still override the logfile directory by specifying -logdir on the command line and if you do so any logfiles from a previous session will be archived in a directory called logfile_backups. * Dedicated server species ratios' commands check for unset values and report the default values instead of the invalid value (-1). The dedicated server was correctly setup in this case, but the command feedback text was inaccurate. * Enabled XP gain, leaderboard updates and associated achievements and skin unlocks for non-ranked games as well as Ranked Matches. Now the differences between ranked and unranked games is that in Ranked Matches, skill-based matchmaking, team balancing and other Ranked Match associated rules are enforced and in Player matches they are not. You are now unable to have a game that does not update the leaderboards, or award XP. * Major overhaul of low-level networking code for player-hosted (i.e. not Dedicated Server) games in order to improve connection stability and pings. * Prevented runaway memory consumption under D3D11 if an FMV is playing when you lock (ctrl-alt-del - "lock computer") your machine with an NVIDIA card. * Several "groups" issues have been fixed, including a reported issue with Group leaders causing group members to disconnect from Games if they leave and then join another Server. * The spawning system has been tweaked, so that players will have a reduced chance of spawning very close to other (enemy) players. * Server start up crash which occurred on Win 7 32bit Home Premium has been fixed. * Several Server stability (crash) issues have been fixed. * Flamethrower primary fire now ignites target if 25% of health has been depleted. Flames will now continue to burn until target is dead, or target extinguishes flames. Base damage is unchanged. Alien leap attack now causes the knockdown flinch on all targets from the "long distance" range. Damage is unchanged. 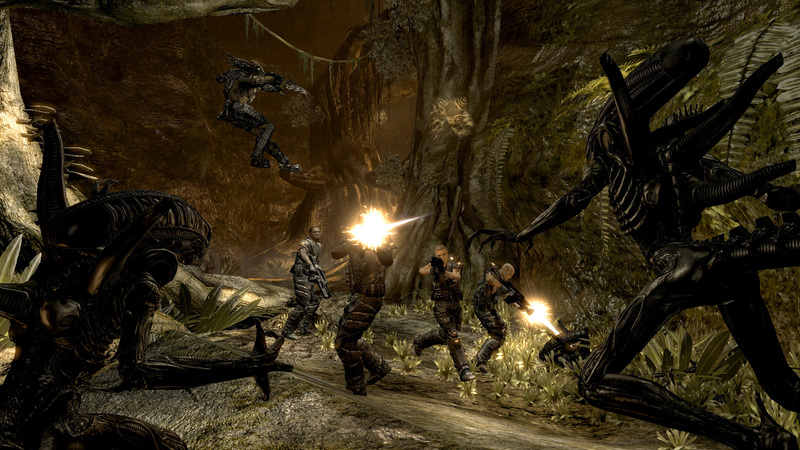 * Alien tail attack now causes the light attack flinch, which does not "root" the target. Damage is unchanged. * You are now not able to jump and start a melee move in the air/until the jump has completed, or initiate a melee move and then jump until the melee animation has finished. Affects all species. * Stealth attack has had some tweaks to reduce the potential for an initiation to occur from outside the allowed "angle" and range has been reduced from 8m to 6m. 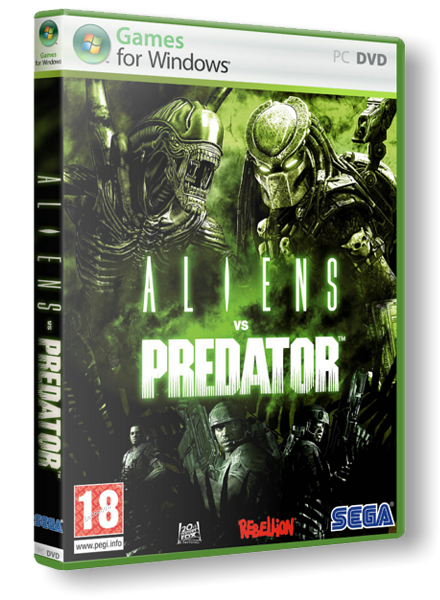 * The Predator flinch ranges have been equalised with the Aliens, and as a result can now be knocked down by a counter (from any species), or an Alien leap attack that successfully lands. * Knockdown leap distance is now between 9-12m instead of 6-12m. Affects Aliens and Predators. 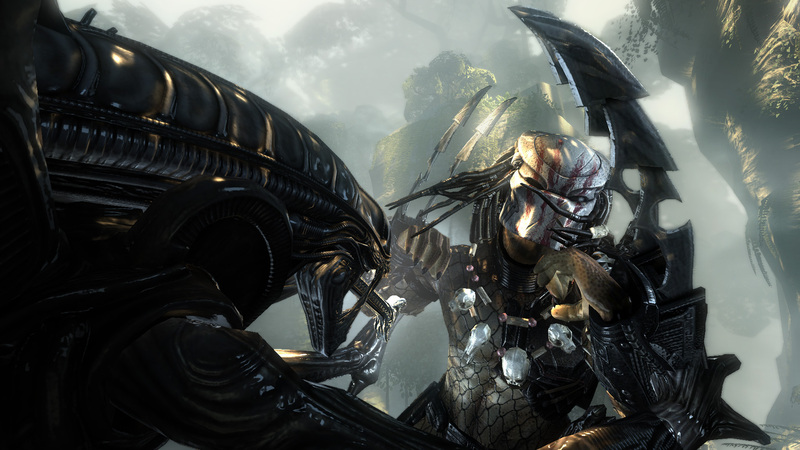 * Predator maximum leap distance is now capped at 12m (in line with Alien) and is not modified by vision mode. * The Marine block will now only block 50% of an incoming light attack damage value instead of 100%. * Predator Focus Attack now knocks you down between 9-12m. 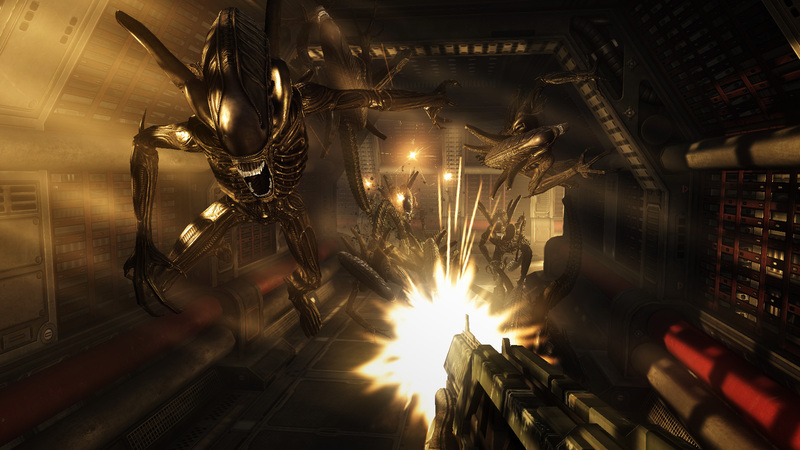 * Alien Focus Attack damage has been returned to it’s correct values. * The chance to spawn on occupied/blocked friendly spawn points and consequentially knock players out of world is reduced. * Joining a Dedicated server which is running on non-standard ports, leaving and then hosting a player match, will now no longer cause any clients who join the hosted match to lose connection upon starting the game. 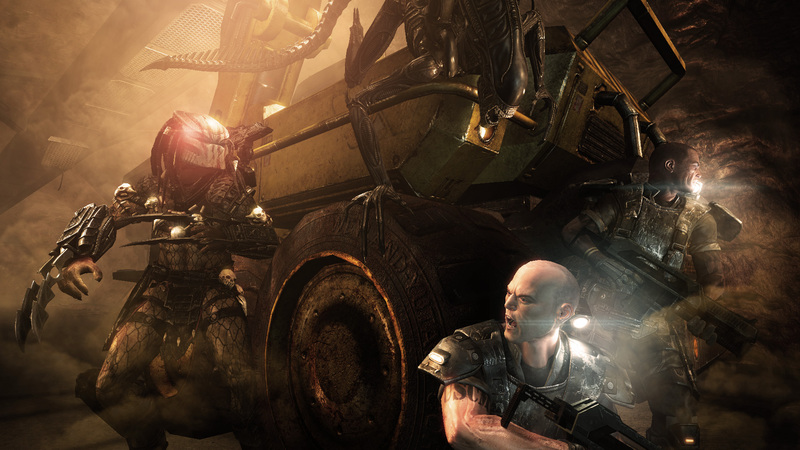 Откройте новое измерение в захватывающем шутере Aliens vs. Predator с двумя новыми картами для режима «Выживание». * Улей: Глубоко в сердце перерабатывающего завода Проспект Фрея находится улей Ксеноморфов. Остерегайся, всяк сюда входящий! * Машина: Вместе с обработкой экзотических пород руды, перерабатывающий завод на БГ-386 снабжал электричеством колонистов в Проспекте Фрея. Огни все еще горят, но никого нет дома... Пока нет. Добро пожаловать на смертоносные земли планеты БГ-386. Покажите свои навыки на двух картах «Выживание», охватывающих промышленные комплексы и древние храмы. Ваше окружение будет врагом для вас – постоянные ливни колотят вас, туман скрывает хищников, и лишь редкие вспышки молний укажут вам путь. * Буря: В дополнение к бесконечным атакам чужих, игроки должны бороться с окружающей средой. Постоянный ливень колотит по колонии, и лишь вспышки молний покажут врагов, атакующих пехоту. После каждой завершенной волны, туман затягивается всё сильнее, и игроку вскоре придется сражаться, видя лишь призрачные образы противников. * Монумент: С геометрией, предназначенной специально для навигации чужих, монумент бросит настоящий вызов игрокам, уже знакомым с режимом выживания. Чужие могут появиться отовсюду, и если игрок находится на одном месте слишком долго, он становится легкой мишенью для чужих «плевальщиков», которые находятся на этом уровне. * Выбрав морпеха, вы обречете себя на страх и клаустрофобию. Свет - ваш друг, но его всегда мало. Однако, колония морской пехоты США — последняя линия обороны человечества, и вам доверены самые последние новинки огнестрельного оружия и взрывных устройств. * Выбрав Хищника, вы будете тихо подкрадываться из теней и с высоты, лазать по деревьям, внезапно обрушиваясь на противников. Ваш арсенал — мощное, экзотическое оружие и датчики . Но честь Хищников ставит ультиматум — при встрече с противником один на один, вы должны забрать трофей в честном бою. * Выбрав смертоноснейший вид во вселенной, вам дается возможность вжиться в шкуру твари из самых страшных кошмаров. Чужие — ими кишит темнота, их челюсти — стальные капканы, а когти — острейшие лезвия. Сыграйте за любую сторону друг против друга в трех многопользовательских режимах. * 1xDVD5 - Info (папка), autorun.inf, setup.exe, setup-1.bin, game-1.bin, game-2.bin, game-3.bin, video-1x.bin, video-2x.bin, soft.bin.